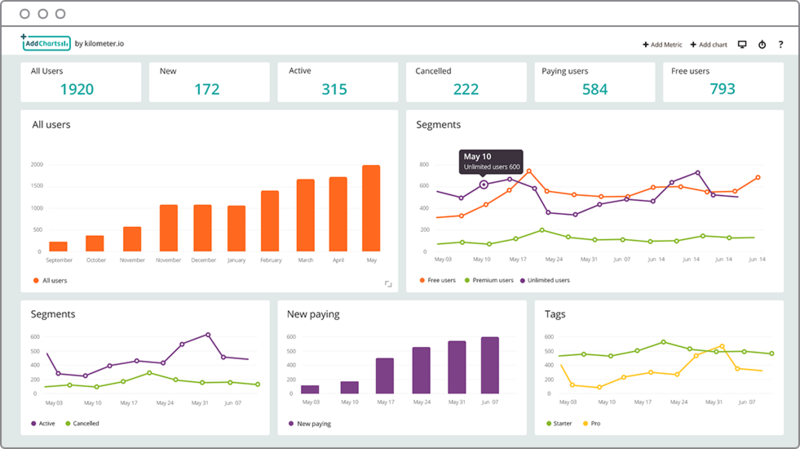 Analyze all your Intercom data from a single dashboard! Sign up for free beta version! See how your tags & segments change over time! Preview and interact with our live demo get the real feel of the dashboard in action. This tool is now exclusively available for Intercom users. No catch! AddCharts is currently in the beta stage, that's why it's 100% free. All you need to do is click the connect with intercom button and right away your AddCharts dashboard will be synced with your Intercom account. What can I do in my dashboard? You can view all your Intercom data, add and remove graphs & metrics, compare tags and segments and much more! Want to make sense of your Intercom data? Sign up now to get your own AddCharts dashboard!